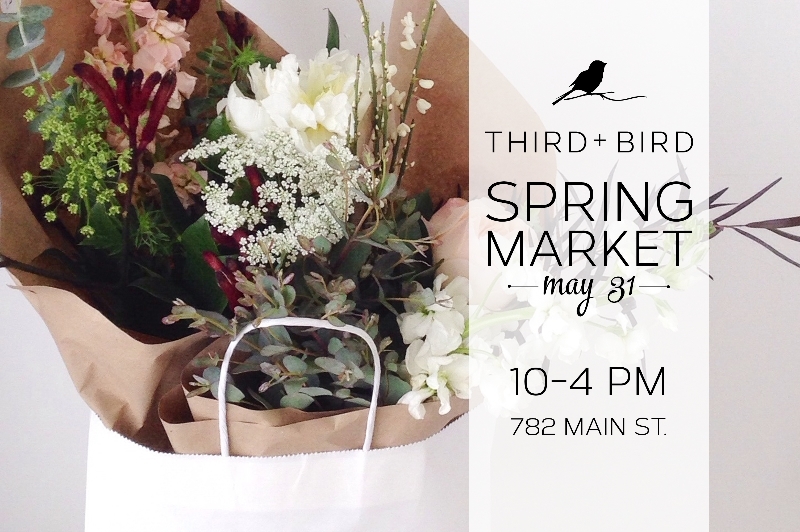 I am very excited to be participating in Third+Bird’s first annual Spring Market @ 782 Main St. (the corner of Main and Sutherland), on Saturday May 31st from 10am – 4pm. There will be two full floors of local vendors, selling hand made and produced items, food and drink for purchase, live music and overall a great environment to support local artisans! 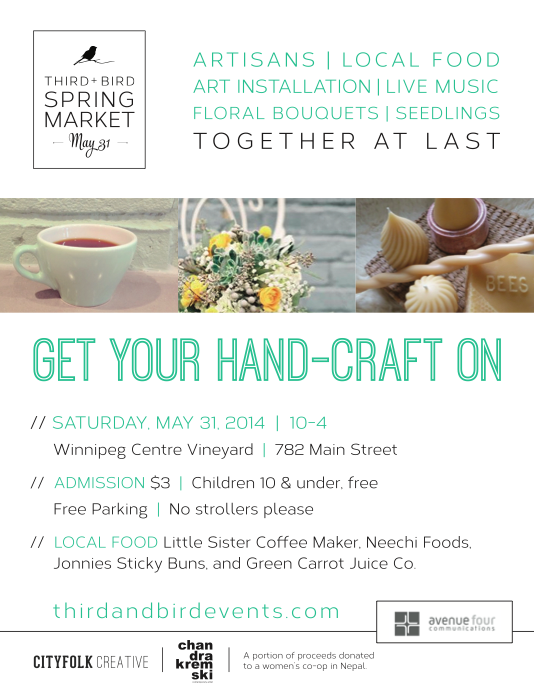 This entry was posted in Sales and tagged ceramics, craft, jessica hodgson, market, spring, third + bird, winnipeg. Bookmark the permalink.